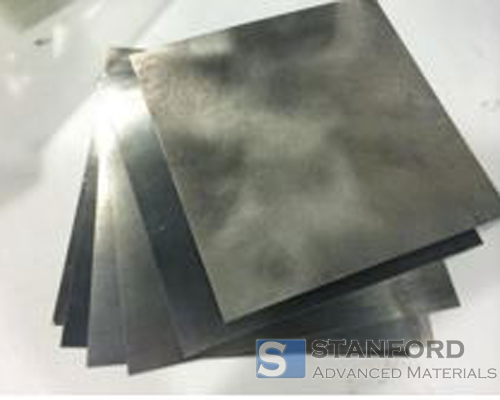 Stanford Advanced Materials (SAM) is a trusted manufacturer and supplier of Yttrium Sheet and a wide variety of Yttrium products. Yttrium is a rare earth element with symbol Y and atomic number 39. Yttrium is soft, silver-metallic and lustrous. The pure element is relatively stable in air in bulk form and very unstable when divided. The highest purity of Distillation yttrium is 99.99%. Yttrium sheet is mainly used in military, aerospace, nuclear industry, aircraft manufacturing, agriculture and medicine. We also supply Yttrium rod, wire and other forms on request. Our yttrium sheets are carefully handled to minimize damage during storage and transportation and to preserve the quality of our products in their original condition.